Figured a build thread was needed for this. 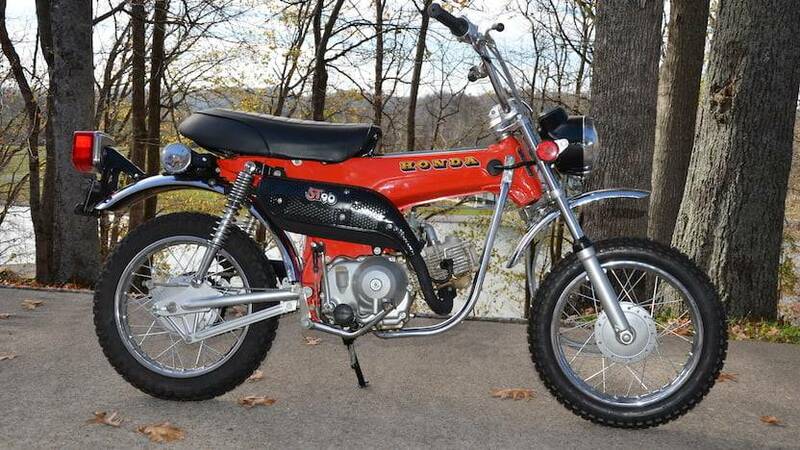 A couple years back I picked up a running Honda ST90. Badly painted white, with spray-bombed black wheels and rear fender and Honda emblems screwed into the frame but all there and running. It's just used up at the cottage but it deserves some attention and my now-16 year old daughter has ideas about riding it to school. 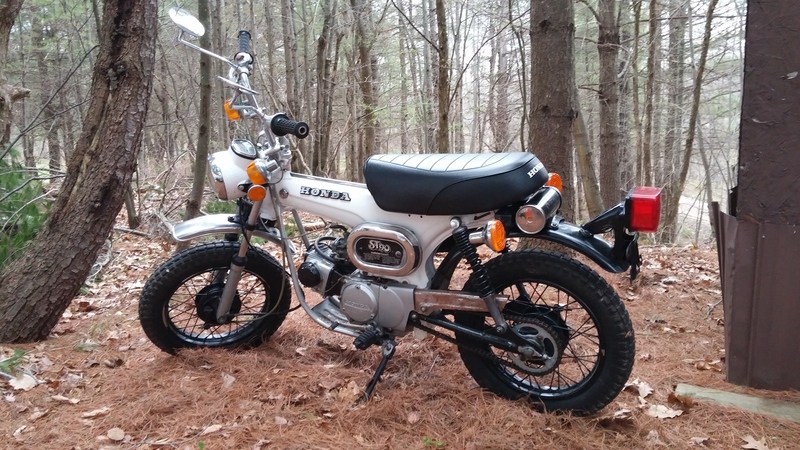 It's a street-legal bike, and about the size of a Grom so it's a great little city bike. 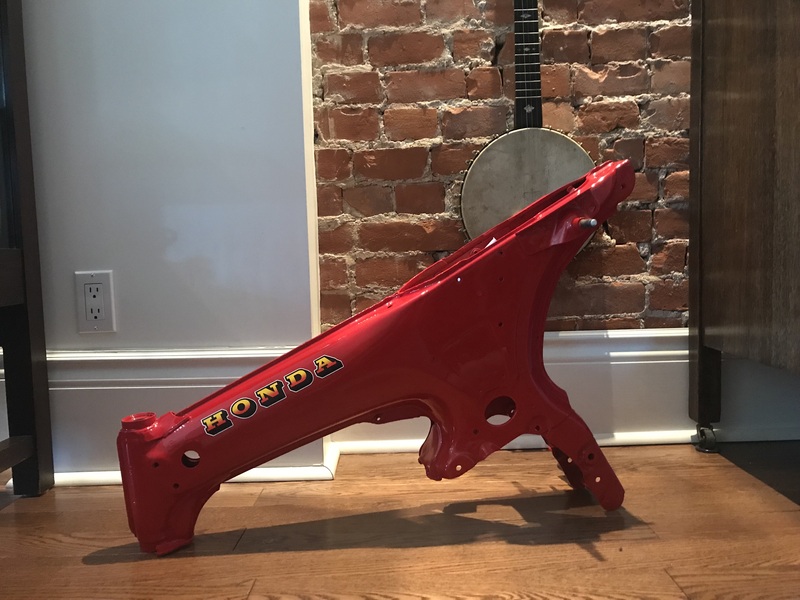 Broke it down and had the frame painted what I believe to be a close match to the original Honda Tahiti Red it was under the white paint. Some fresh decals from Reproduction Decals finished it off nicely. I've ordered aluminum 14" rims from Thailand and am getting stainless spokes from Buchanan's. I figured this was a better option than trying to clean what are likely rusty crusty wheels out from under the black spray. I'll cut the hubs out and have them vapor blasted. I've got new Shinko dual-sport knobbies ready to put on the rims once I build them. With the aluminum rims/stainless spokes they should last a lifetime with fresh bearings. Some of the bits like the swingarm etc. will need to be powdercoated silver and other parts like the front crashbar will get chromed. Finally, I may replace the engine with a 110cc manual shift Lifan pitbike model. 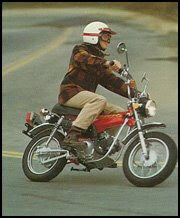 The 90cc motor runs, but it's tired and the shifting is jenky with the 3 speed semi-automatic setup. 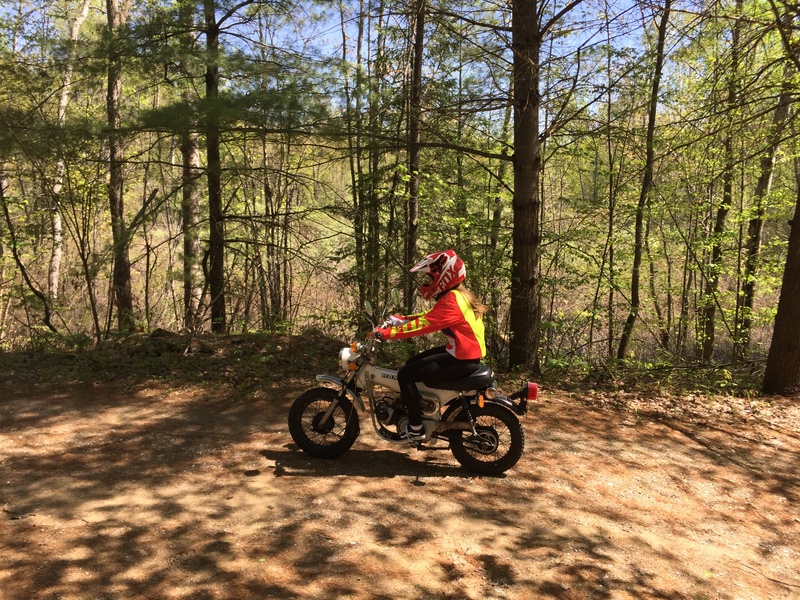 I want my daughter to learn a proper clutch and the semi-auto isn't well suited to city riding. Nice Tim! You don't see these often. Red paint is always worth an extra mph or two, but the Lifan will really pick it up! Very cool. I like the pitbike motor idea. Yeah man love these little bikes, keeping my eye open for an affordable fixer-upper for ages. Know exactly what I'm gonna do with mine!